There are several types of baptisms mentioned in the bible but only 2 are required for kingdom entrance. Jesus explains to a pharasee how one must be born of the water and the spirit in order to enter the kingdom of God. The first one is water baptism. In this scripture, Jesus is talking about water baptism and spirit baptism. According to the bible thrugh the words Jesus spoke both are necessary requirements to enter the kingdom of heaven. To be immersed (baptized) in water is the outer symbolic act of accepting Jesus as our Lord and Savior; being fully aligned with him by being buried with Jesus and having our sins washed away to come up out of the water a new creature - just as Jesus came out of the grave a new creature. At the start of the church age, it was important that people were no longer baptised under John's baptism but under the commandment which Jesus had given the disciples. 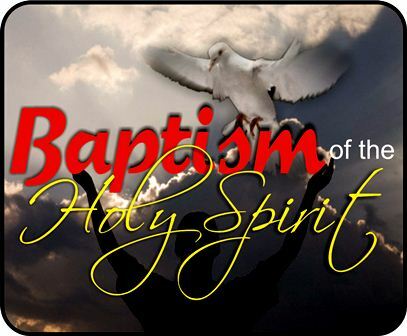 The second baptism is the baptism of the Holy Spirit. When a person comes to Jesus Christ, they receive Christ into thier heart. The Spirit of God comes and joins with the spirit of the believer. This "indwelling Spirit" reproduces the life of Jesus in the believer's life. Jesus promised us the comforter; the Holy Spirit to us. 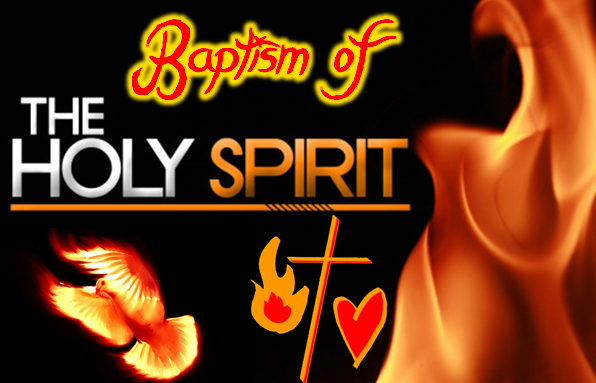 Just like we are immersed in water baptism, we are also baptized with the Holy Spirit. The spirit of God living inside of us. The baptism of the Holy Ghost is for everyone. The baptism in the Holy Spirit cannot be earned. You cannot become "good enough" to receive it. It is a gift from God. It is not a "cure-all" for your problems. But the same wonderful power that enabled Jesus to open blind eyes, to command the elements of nature, and to live a life pleasing to the Father during His ministry on earth is also available to you. To know who Jesus is. The second coming. To be led by God. We need a power beyond ourselves for service and ministry in God's Kingdom in order to do the will and work of God. The baptism in the Holy Spirit is an empowering for service that takes place in the life of the Christian. In it we are immersed in the Spirit's life and power. The Holy Spirit is so much more than a shadowy figure to pay lip-service to on Sunday morning. He can be with you and in you to bring new life to your Christian walk. Likewise, the baptism in the Holy Spirit is more than a single experience. It is a continual dependence on the Spirit for guidance and strength in all circumstances. Location: United States Unknown location. Repentance, a contrite heart one has in them, needing new life to be given them. Asking God for this in prayer to hear and be new in Risen Son abiding in and through them in Father's Spirit and Truth. This is a gift, and not of any man's work, if were then the gift is made void. Note: Those Gentiles were not water Baptized before being Spirit Baptized by Father through risen Son they believed in. And Yes who could refuse to be water baptized afterwards not I. Then Peter went on in his learning experience to say,. God Has No Respect of :Persons. Paul has said the same no respect of persons, all today by Son are now made as equals to Father and Son, yet no new life is in anyone by the death of Son. That was for reconciliation, forgiveness given as if one has not ever sinned. From Father's view this is true through Son's done work for everyone to turn to Father in Belief to see. Just as those Gentiles saw when they believed what Peter said, (Actually God Father) through Peter. They believed, they received, they saw clearly, with no water baptism first. So thank you deeply to see yourself in this truth. It is Father alone that gives new life and those that get this do as he says. The same as Jesus did. Now the Water Baptism was for Jesus to be Baptized in under the Law he came to earth to fulfill first, before any new life could ever be given with Father leading us in Spirit and Truth as the mighty Wind. I do not disagree with Water Baptism, Just reveling the truth. John was sent first to witness the Messiah has come to save us and he did. Then he said he must decrease while Christ must increase. Man has taken and gotten in the way, as you better do this that and this, then you can enter into. This is a Gift, not to have to do it. The Water Baptism Peter finally recognized as a good conscience toward God, not to be member of a certain Church gathering as is what it is used for today. Out of alignment with Father and Son. For do the Churches here on earth recognize each other and are in unison? No they are not, and God says in Hebrews 8:1-4 he has nothing to do with them, why?